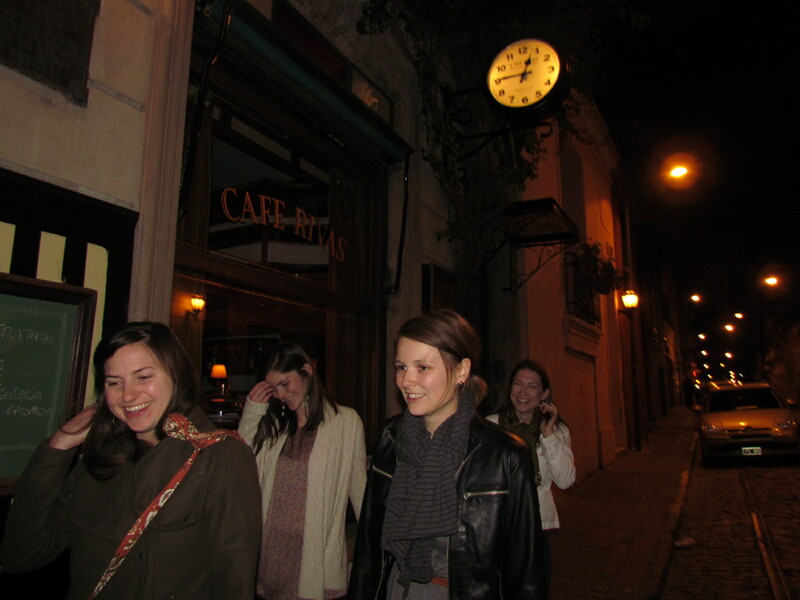 We were standing on the cobblestone in San Telmo at midnight. It was wet, but not raining, and after an amazing dinner, it was simply the most natural thing to do. We paused to soak in the romance of the evening before heading back home. Then we heard a man calling out to us from down the street. We had forgotten our umbrella in the restaurant and the waiter trailed after us to return it. 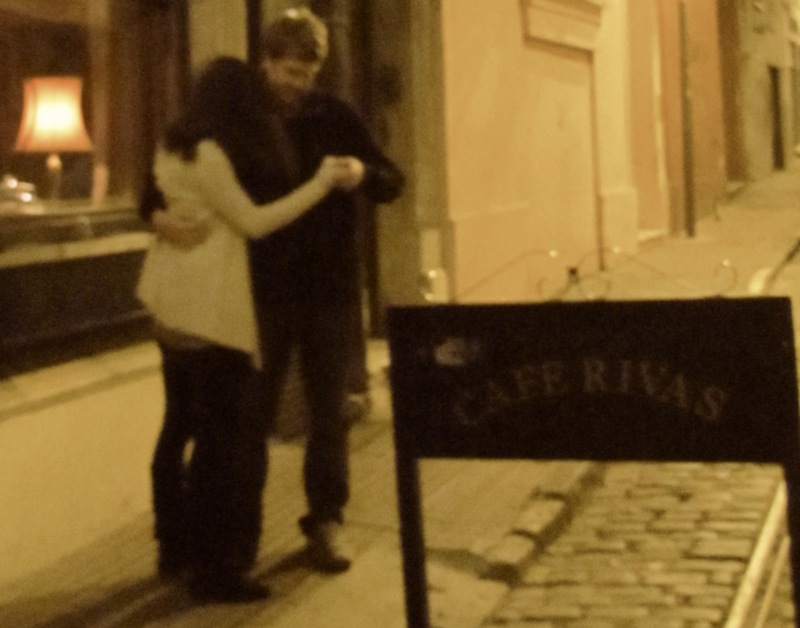 Oddly, it was the perfect conclusion to our evening spent at Cafe Rivas. 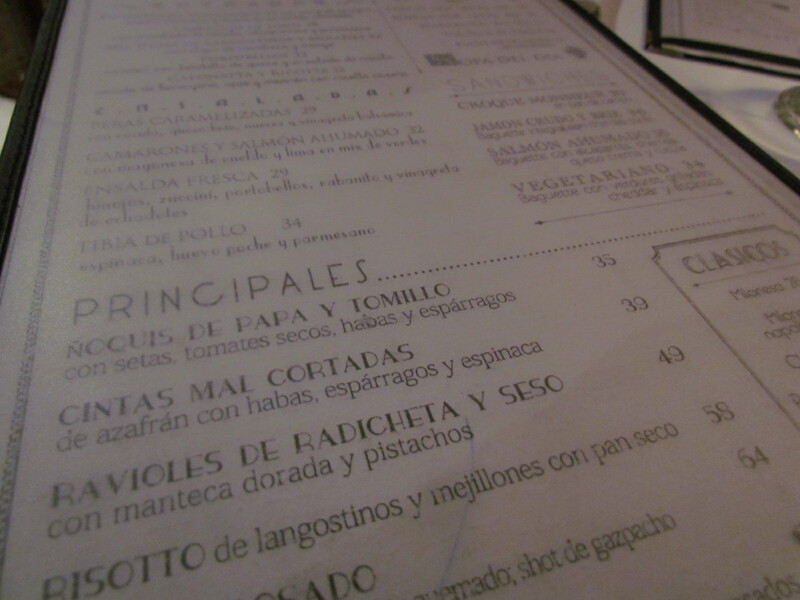 Of the four or five times we’ve dined at Cafe Rivas, not once have we left disappointed. With live, talented musicians jiving on old standards almost every night, and a gorgeous building and ambiance nodding to an earlier era, it’s easily become our favorite restaurant in the city. The menu is also smartly done. 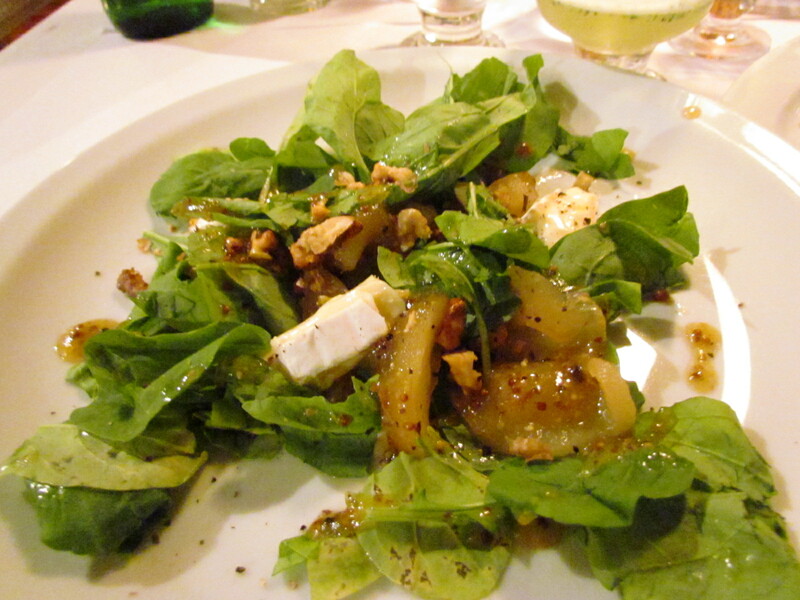 For less than $40-50 pesos a person, you can have a consistently delicious and filling meal. 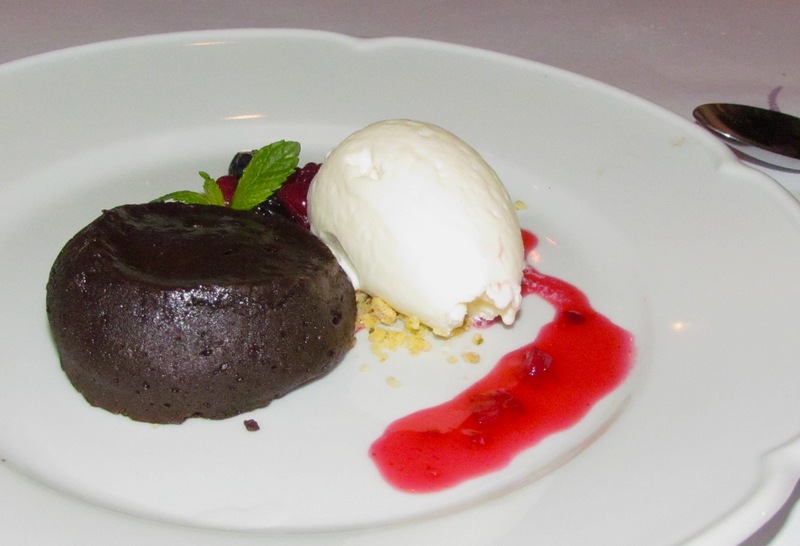 The prices grow steeper as you tack on wine, starters, and dessert, or opt for the Rib Eye steak. 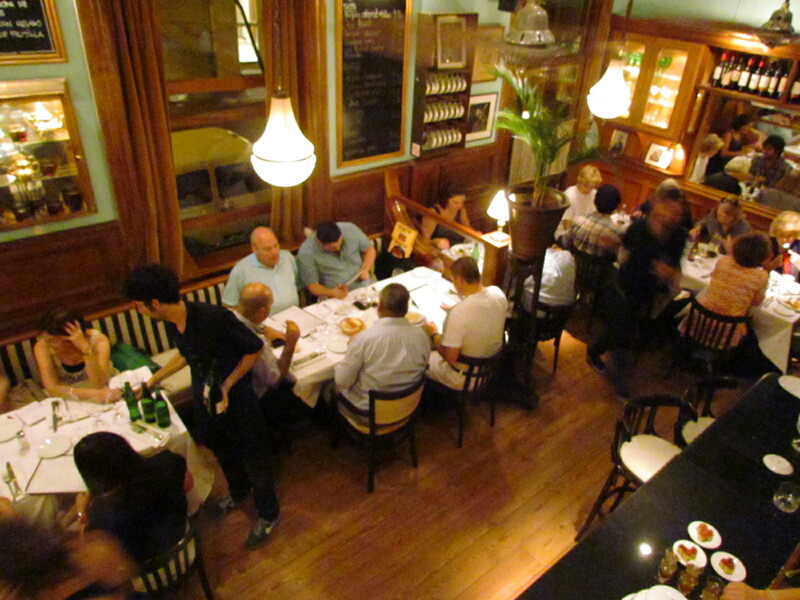 Which, by the way, has surprisingly been the best meat (not just steak) I’ve had in Buenos Aires, only second to the ribs at Estancia La Candelaria. 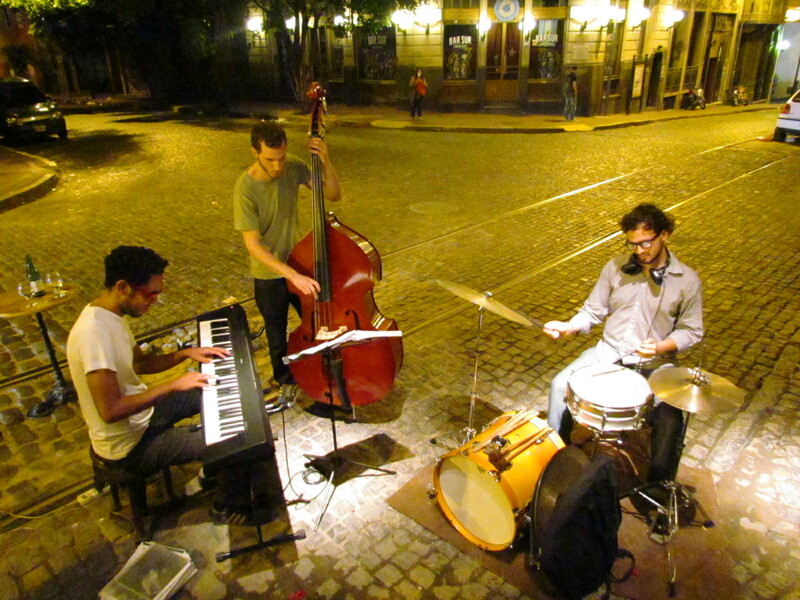 On Thursday nights during the warmer months, the jazz trio sets up outside on the street sweetly complementing the charm of the San Telmo neighborhood. 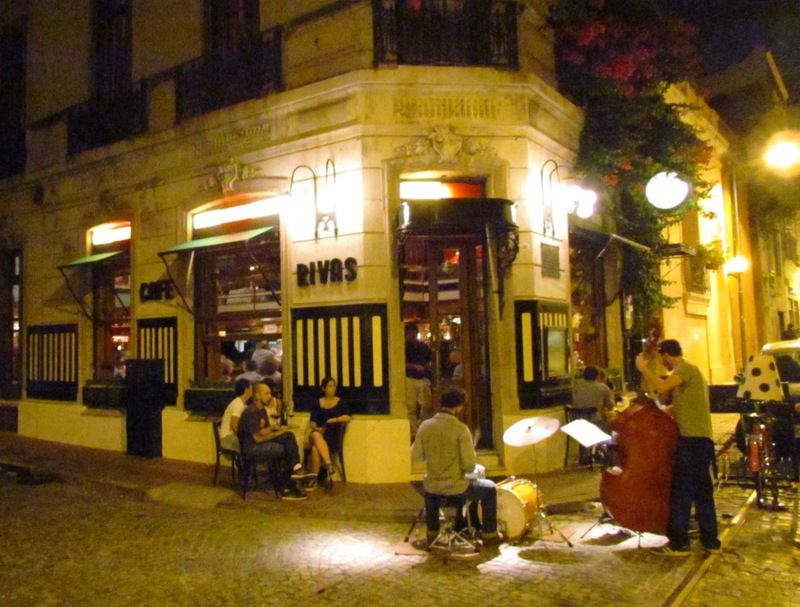 On a previous visit to Cafe Rivas we also hung around outside after dinner — dancing on the opposite street corner — hesitant to end the evening. As a farewell dinner for our friends, Galen & Laura, who will be returning to Canada on Thursday, and Scott & Ashley, who will be in Santiago, Chile, for a month, our normal crew of eight went to Cafe Rivas at our recommendation. They loved the food and atmosphere, and since it was a Thursday night, the jazz trio was playing upstairs as we ate like royalty. Here are some photos of the amazing night with great friends. 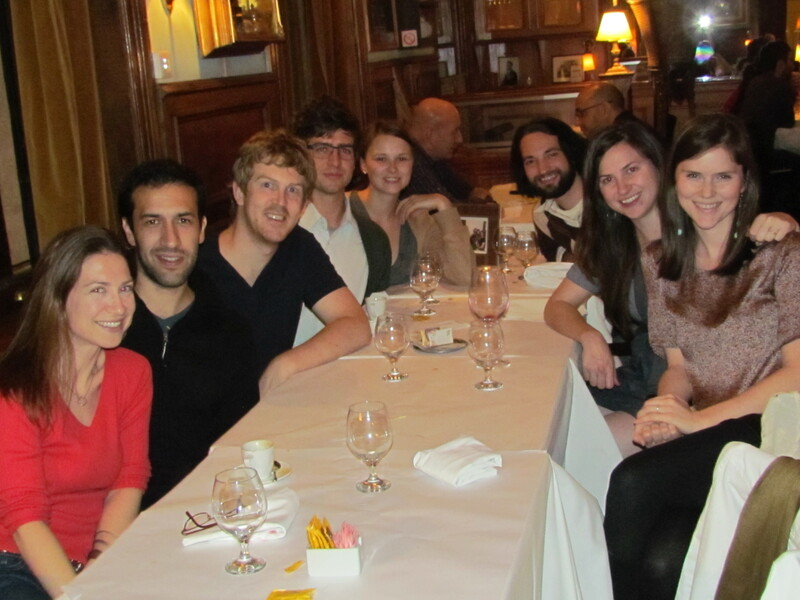 Left to right: Kara, Matias, Stephen, Galen, Laura, Scott, Ashley, & Maggie. 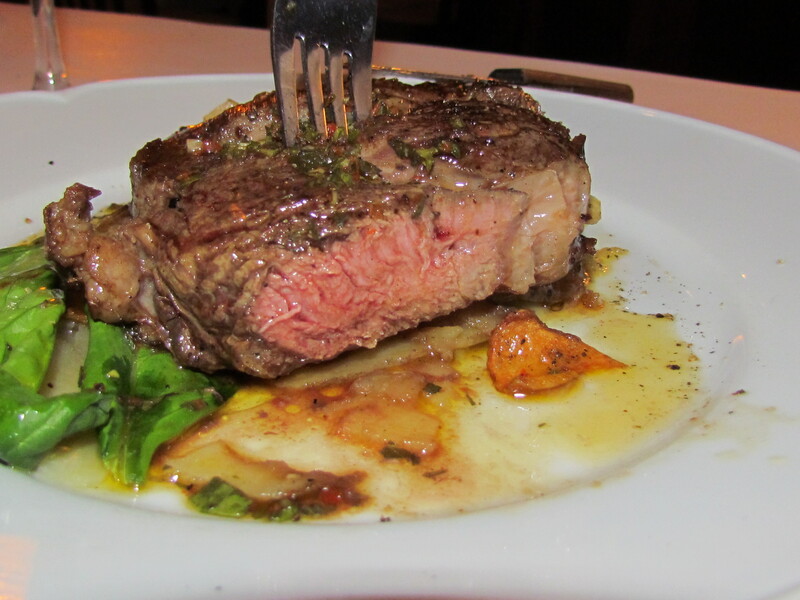 The Rib Eye (“Ojo de Bife”). 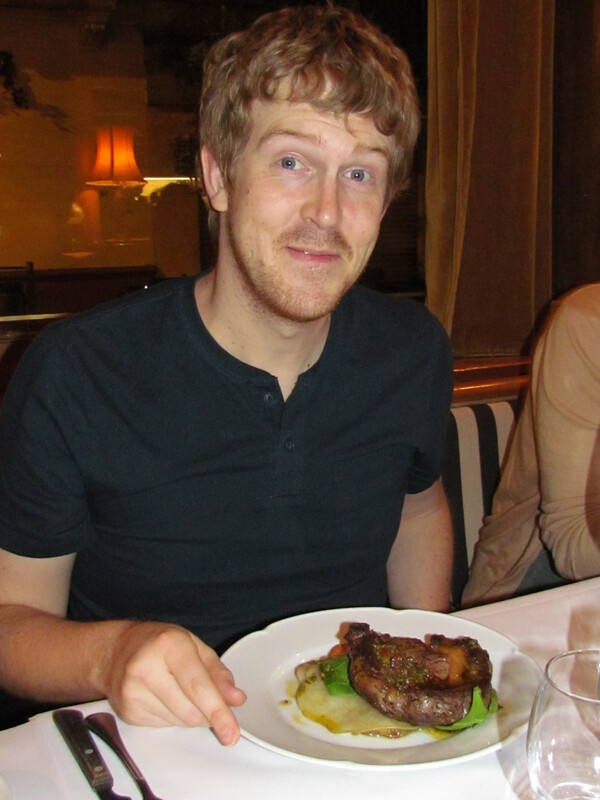 Seriously, the best steak I’ve eaten in Buenos Aires. 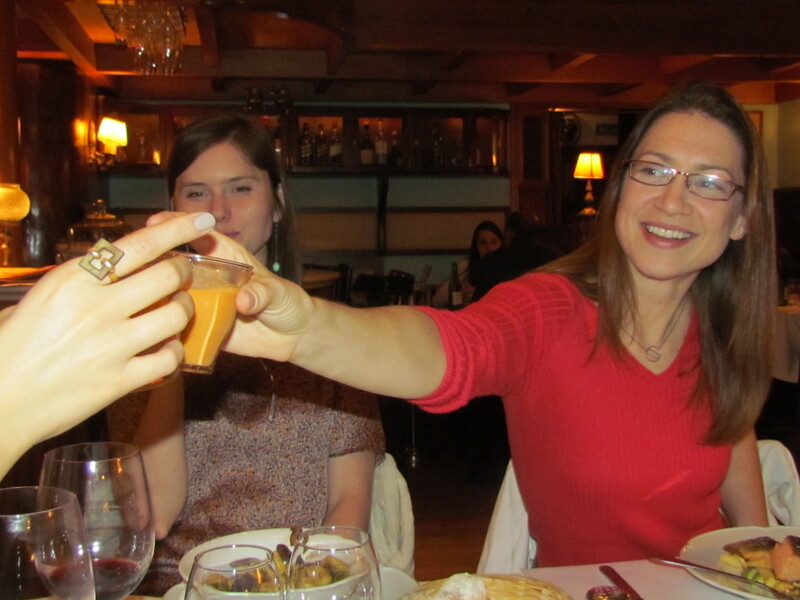 Kara (and Laura) celebrating their gazpachos in a glass. 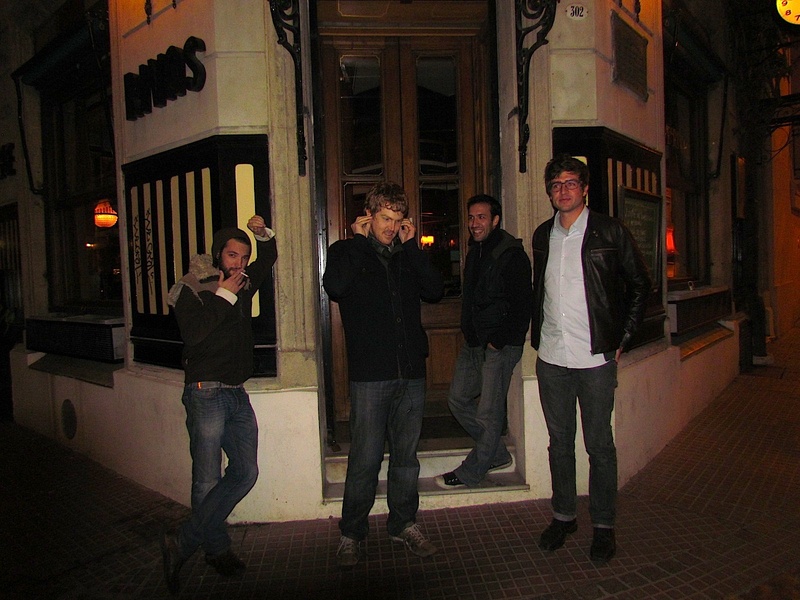 Good ol’ Matias, the only Porteño in the crew. 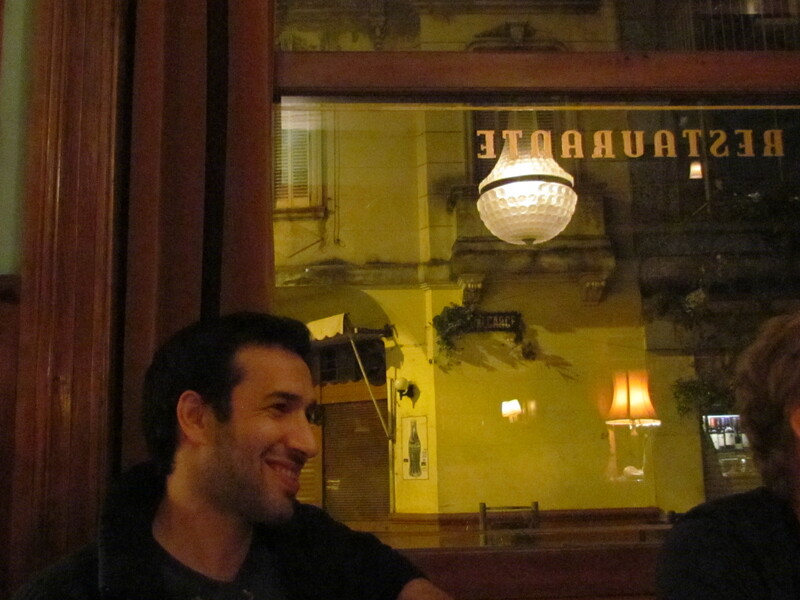 He teaches us so much, but especially to not ask, “So, how you do say … in Spanish?” too many times in one night. 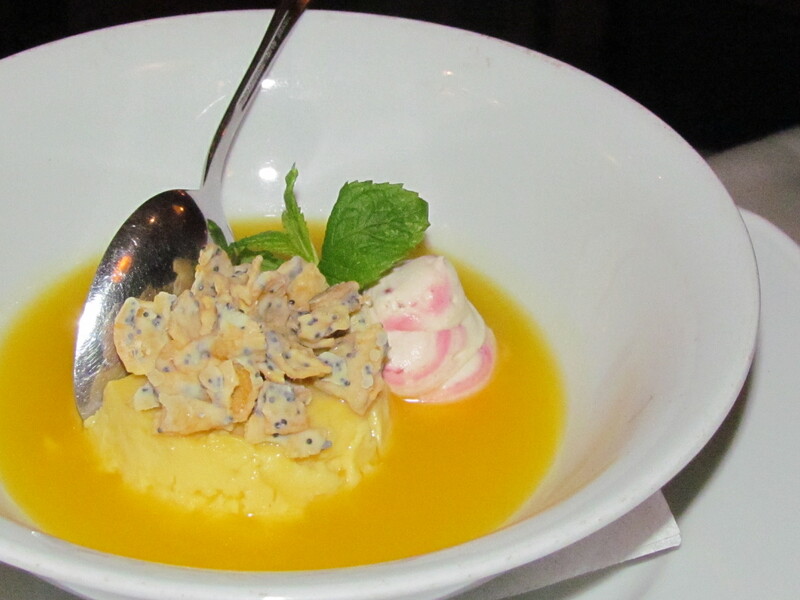 The Mango Flan. Unique and delicious. Chocolate Marquis: the most amazing bite of chocolate Maggie has ever tasted. No exaggeration. This an order for “parrilla completa” (complete grill) for two people. Four of us couldn’t finish it.